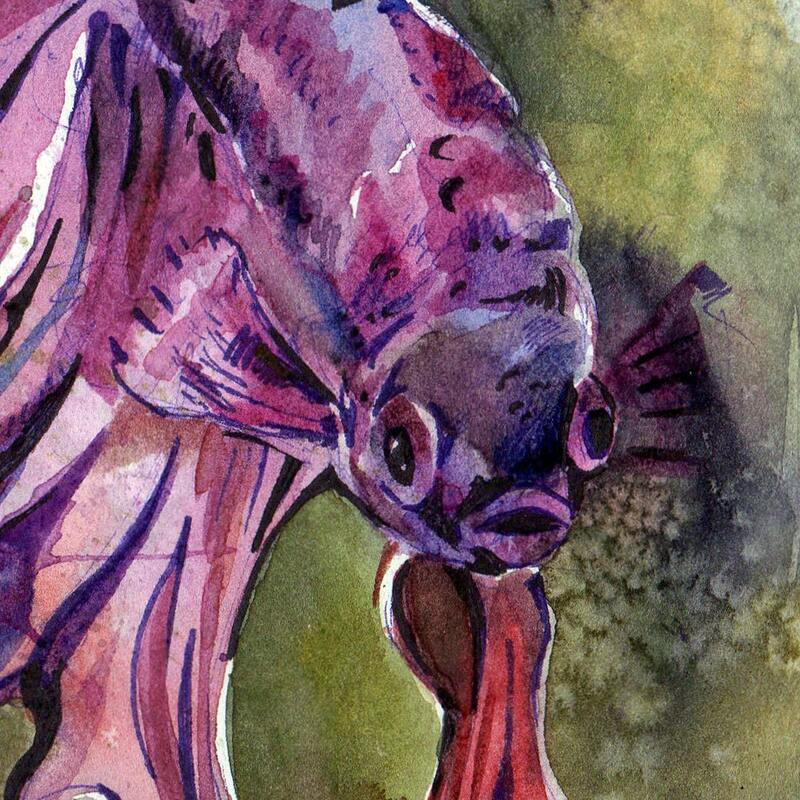 This watercolor of a purple betta fish is part of my Roy G Fish series of paintings. 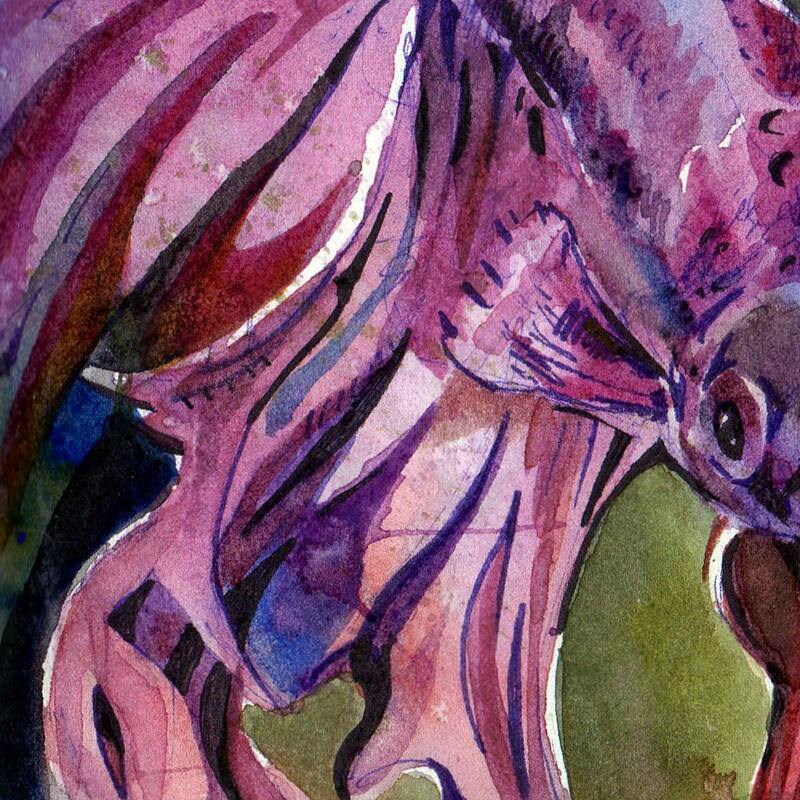 I'm creating a betta fish in every color of the rainbow. 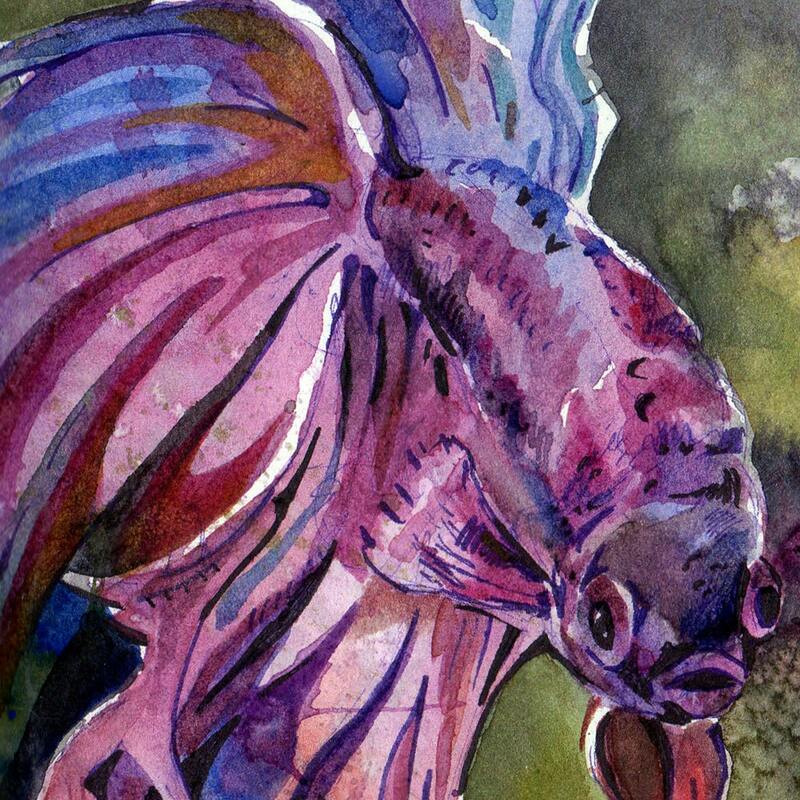 This listing is for a reproduction of the above original art work of a curious violet finned betta. 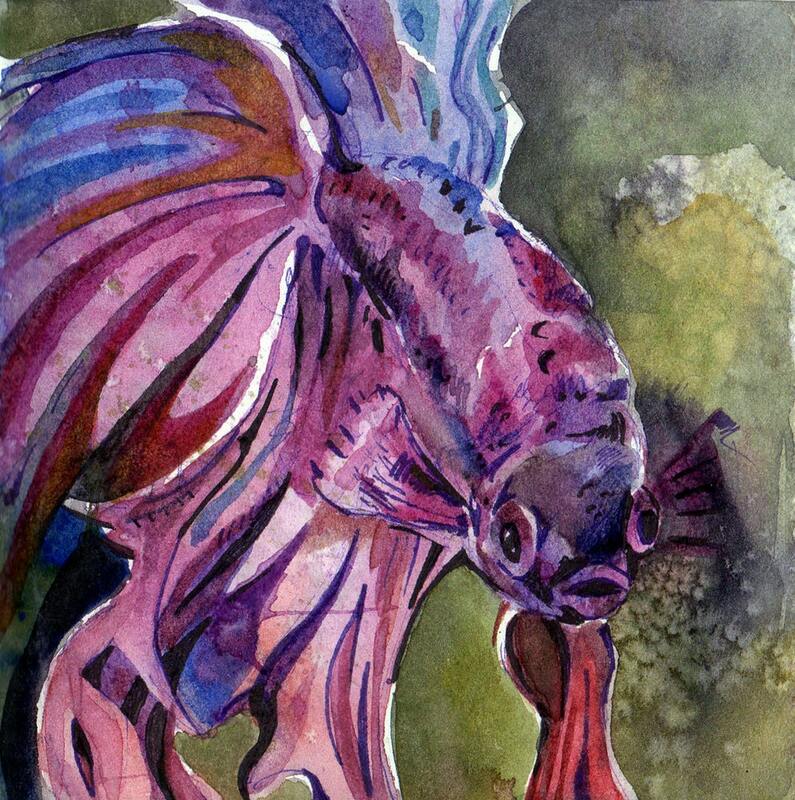 He would look great on any wall and is perfect for an underwater themed nursery or shore home. 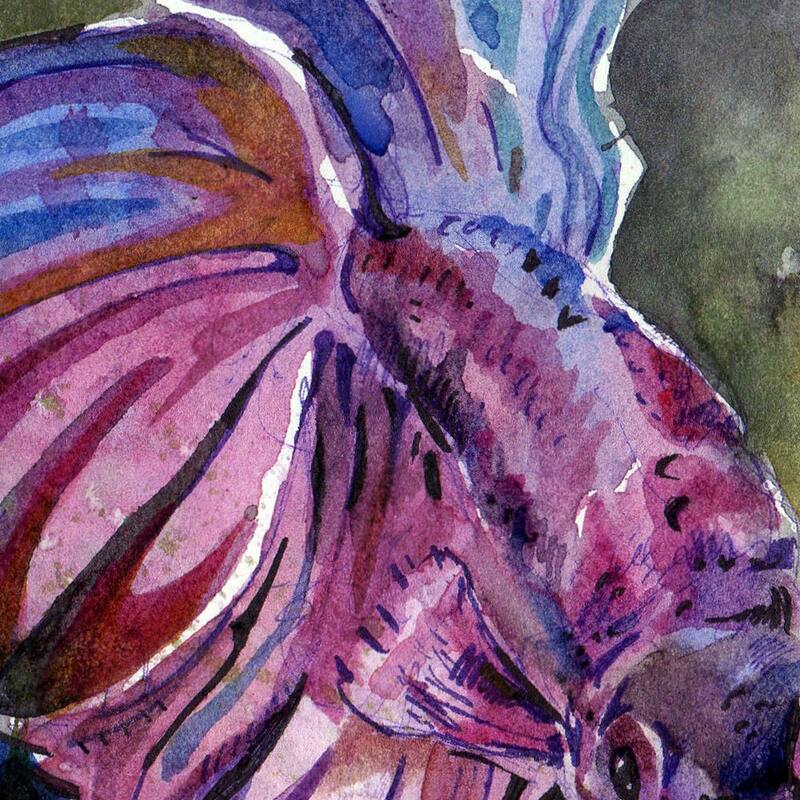 This is a print of one of my original water color and ink paintings, "Violet Fish." This signed reproduction measures 6 inches x 6 inches (12.7cm x 12.7cm). The print is high quality; very true to the original's coloring. It is printed with archival inks on acid free paper.